Giving back to the community around us is something that is extremely important to us here at Liz James. Participating with different charitable organizations in our community gives us a chance to be a part of some exciting events that bring our LJ team together. 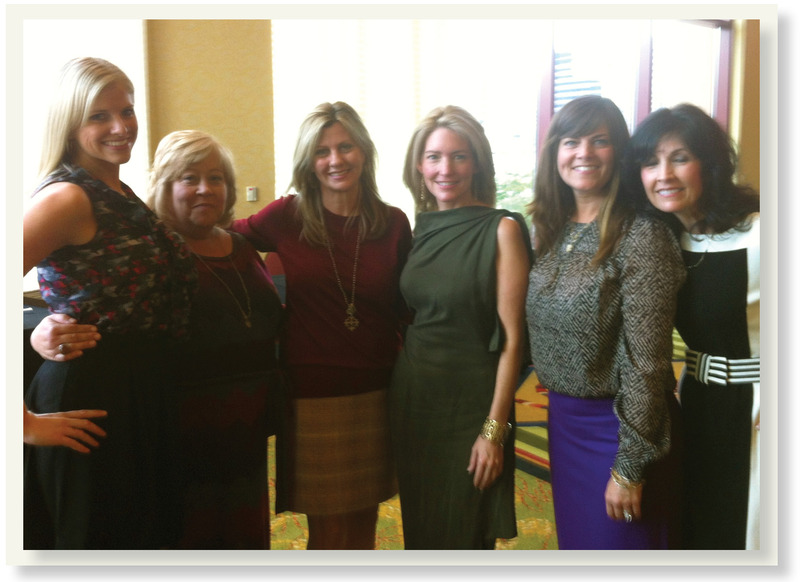 Recently we had the honor to attend Hospice of Austin’s The Beauty of Life Event. With the generous donation of sales rep Tina we were all able to attend the event and share our lovely LJ jewels, while also getting to enjoy the festivities! Below are some scenes from the event. The best part of events like this are not only that we were able to do our part to help give back, but we also met many fascinating women in the community who are interested in doing the same. Kathryn Stockett, the author of The Help was the guest speaker at this event. She had many inspiring and humorous words to share with us of not only staying true to yourself, but always continuing to follow your dreams despite all odds. LJ is so blessed that we were able to be a part of such a great event for a good cause and even got a chance to meet the author! Liz James is currently working with a couple of other charitable organizations to continue doing our part. This week we are selling the Holiday Shopping Cards out of our studio which give a $50 donation to The American Cancer Society when sold. Buying the card is a double positive because not only is your money going to an important cause, but you receive discounts on your holiday shopping at participating stores including Liz James! We are hosting a special event here in our studio on November 29th for The Care Communities. For this event 15% of all sales will go back to The Care Communities organization that helps families who are battling HIV/AIDs or Cancer alone. Come join us for refreshments, fun, great people, and help to benefit such a great cause! LJ strives to do our part as a team to continue giving back where we can. We encourage you all to go out and do the same! What charities are close to your heart? How do you give back? Please email us your information at sales@lizjames.com and we will get your prize to you! Stay tuned for tomorrow as we introduce our new weekly deals! Go to lizjames.com to catch the deal of the week or to see all of the other amazing pieces in our handmade collection. It is getting closer to that giving time of year again. Bright shades of Autumn have emerged, weather is chilling, and Halloween is right around the corner. We looked at shades of Autumn in our last weeks blog. Now we have taken one Fall inspired piece of our own that we want to giveaway to one special subscriber! So if you have not already been introduced… this is Haley. The Haley necklace is comprised of a 14kt gold filled chain connected by 3 small carnelian roundels to a 14kt gold filled ring. Hung from the ring is one large baroque white pearl surrounded by 4 carnelian and 2 smoky quartz stones. This is a dainty, fun piece that can go with any of your Fall attire, worn with your favorite team color, or any other occasion throughout the year. 1. You must subscribe to our blog and like us on Facebook. You can leave your comment either on our blog or on our Facebook page to be entered. We will announce the winner on next week’s blog. So don’t delay you only have one week to enter! Good luck to you all and have a pleasant Autumn day! The return of Fall is back! With the Fall comes changing leaves, cooler weather, and a change of wardrobe. We are dreaming up long walks in the rich colors of nature and are inspired by them in all areas of design and fashion. We are mixing up hues of yellows, oranges, and reds to make the perfect autumn blend to start off the month of October right. How will you dress up your autumn? What warm color hues will be your go to this season?